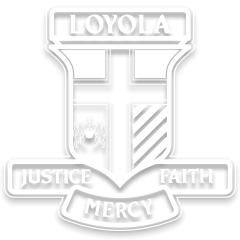 Experiential learning is an important feature of student learning at Loyola College, particularly in the teaching of Humanities. An understanding of the interaction between people and the environments that they create and in which they live are an essential part of a balanced education, enabling students to develop the skills of perspective, analysis, and understanding that will allow them to adapt to the demands of the rapidly changing global community. Students learn by doing, as opposed to merely being told what to learn. Active learning through fieldtrips and other school-based activities are an integral feature of curriculum and assessment at all levels. Technology is being integrated progressively into the learning program at every opportunity, both within and outside the classroom environment. A highlight for our Year 9 students is the City Experience program which runs over three days in November. This program aims to take students out of the typical school environment and give them practical experiences of learning in a variety of locations based around the City of Melbourne, as well as experience a taste of city life. By working in teams to conduct research and interviews, students develop collaborative learning skills along with responsibility, problem solving and time management skills. Loyola College offers opportunities for students in Years 10 – 12 studying languages to travel overseas and participate in Language Study Tours to Italy, France or Indonesia. The students visit various parts of these countries, spend time with the College’s sister schools while living with a host family. The aim is to develop communication skills and to develop intercultural competence. These study tours are offered bi-annually and provide an enriching experience for these students. VCE Outdoor and Environmental Studies provides students with the skills and knowledge to safely participate in activities in outdoor environments. Students also gain the skills and knowledge to respect and value diverse environments. The blend of direct practical experience of outdoor environments with theory-based study enables informed understanding of human relationships with nature. In Year 8 students undertake an Outdoor Education camp. This camp is designed to complement our pastoral care program and expose students to experiences in the Victorian outdoors. They also examine the dynamic nature of relationships between humans and their environment. Students are involved in one or more experiences in outdoor environments, including in areas where there is evidence of human interaction. The Year 9 Surf Coast Walk/Camp takes place over three days during Activities week. It is supervised by teachers and facilitated by the Surf Coast Guides who accompany each group along the walk. The camp builds on the Year 9 Personal Development Program which has a strong emphasis on developing young men and women to be strong, resilient and respectful of themselves and others. Student grouping on the camp is gender-based to give students the opportunity to further develop their emotional well-being and build self-esteem and confidence. It also incorporates Religious Education and Intercultural Perspectives with accompanying assessment tasks.